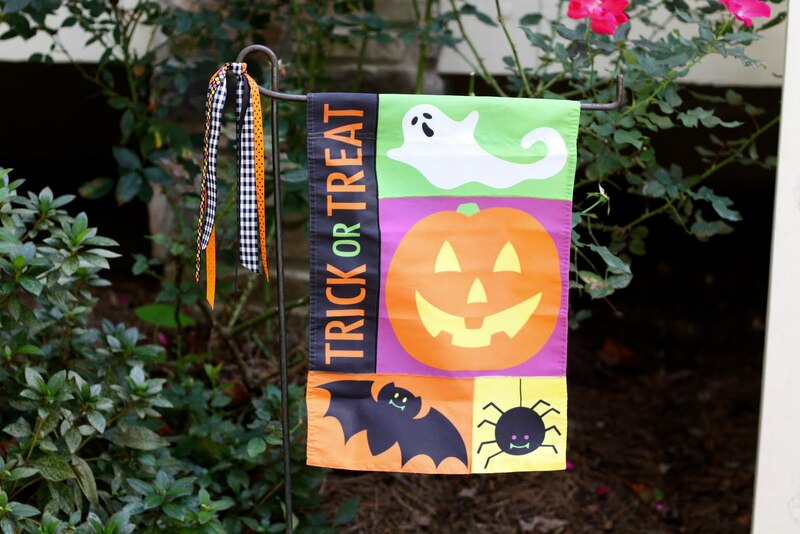 It's almost Halloween! 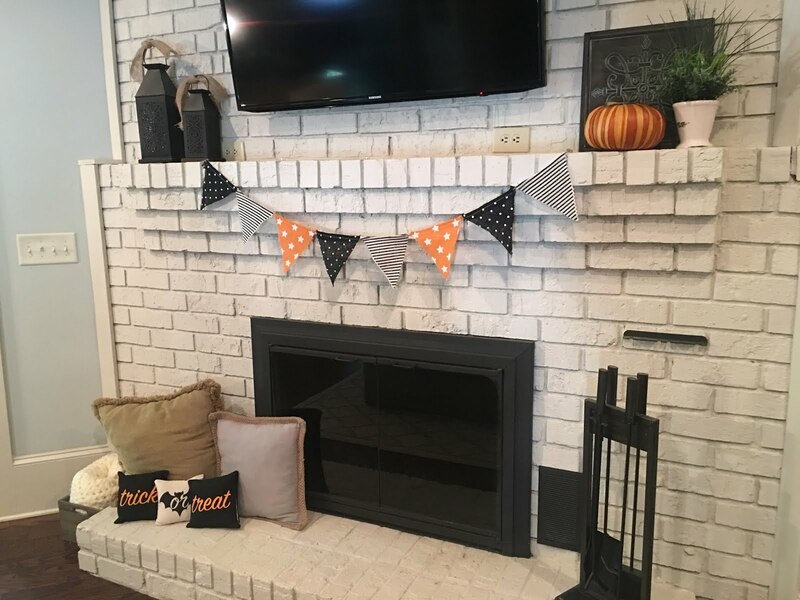 I love decorating for holidays and I feel like Halloween is the beginning of a lot of fun holiday decorating at the house. I actually pulled out all of my things over fall break so that we could enjoy them as long as possible. 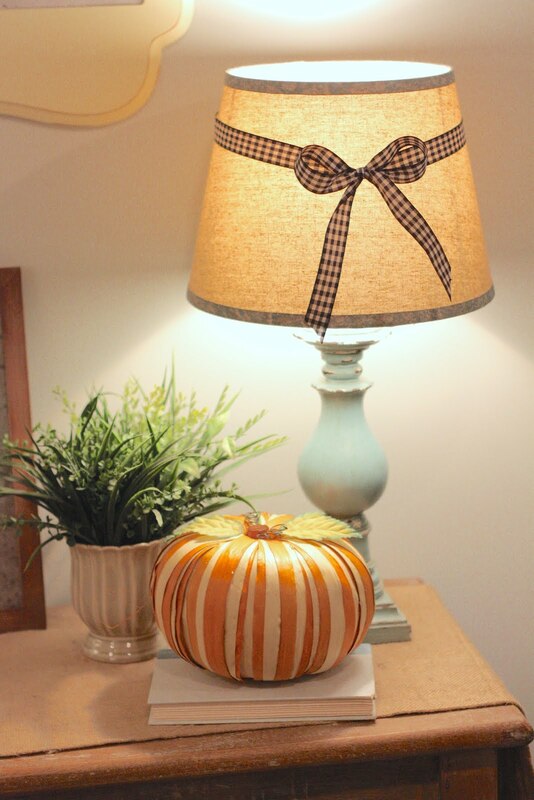 After I got it all up I just kept looking around and thinking to myself how happy pumpkins make me! Outside I have my Trick or Treat garden flag as you walk up to the front steps and I added some black and white gingham ribbon and a few others to the flag stand. 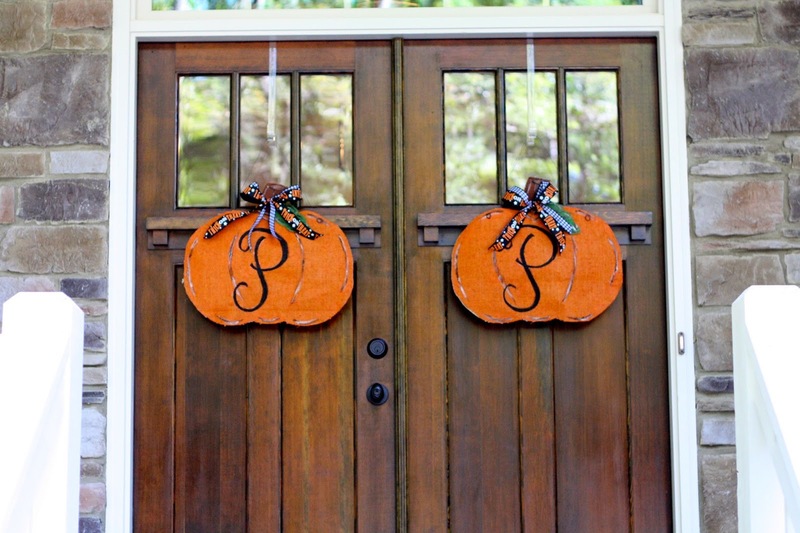 Next are my front door burlap pumpkins that I made a few years ago. 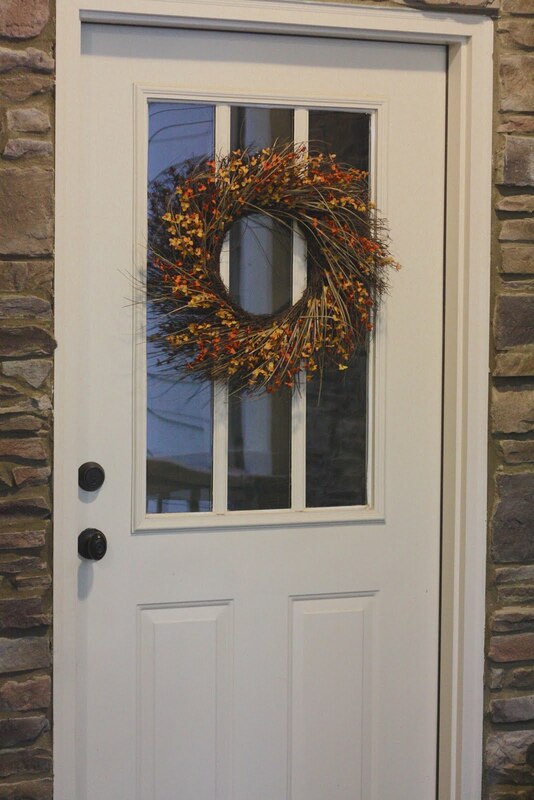 You can find details HERE and specific directions for this kind of door hanger HERE. 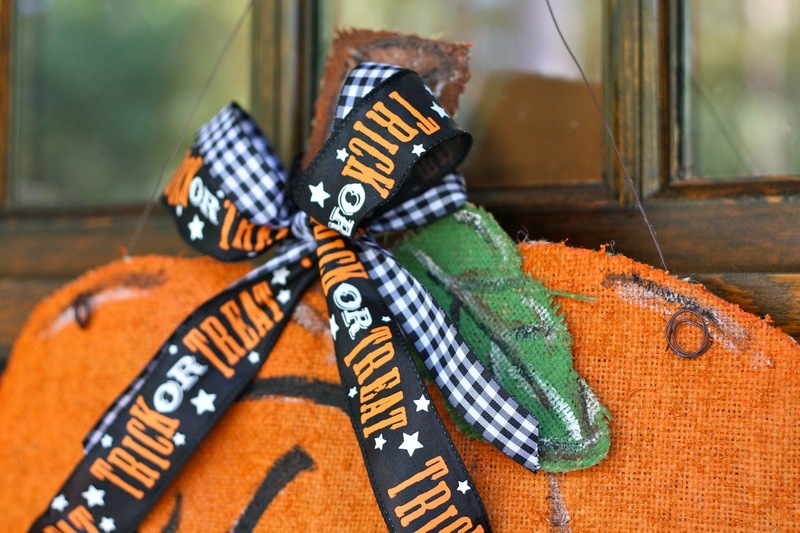 For Halloween I have trick-or-treat and black/white gingham ribbon tied to them and then after Halloween I change the ribbon so I can keep the pumpkins up through Thanksgiving. We haven't had a chance to visit a pumpkin patch yet, so we don't have any real pumpkins at the house yet so I feel the porch isn't quite done yet. We do have one lone little baby pumpkin that Boo-Boo brought home from his preschool field trip to a pumpkin patch, though and he is very proud of it! 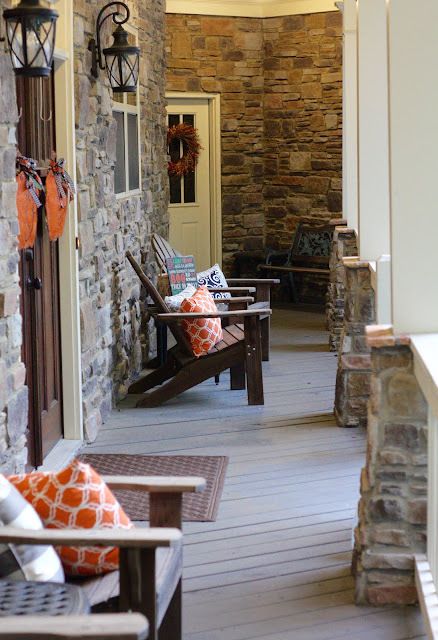 I love easy seasonal changes with pillows added to the chairs on the front porch. Such a simple way to add some holiday color to the porch! 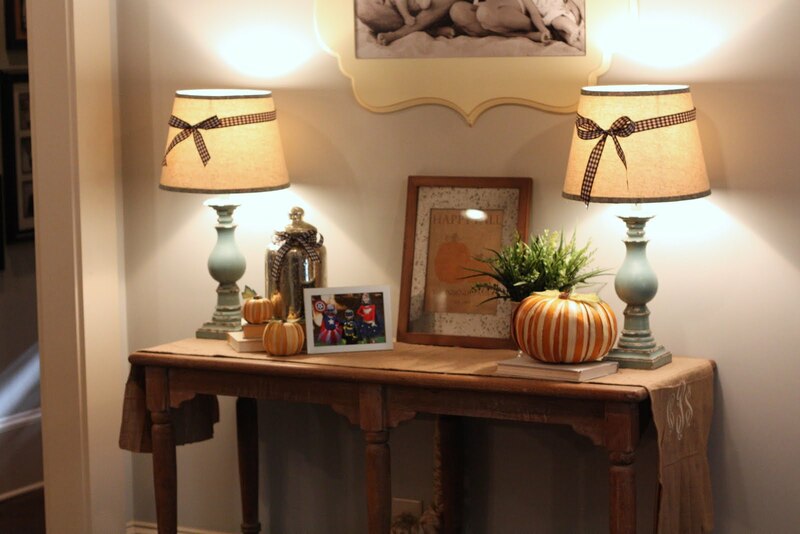 Inside I like to add little touches here and there to my regular decor. In the foyer I added a few pumpkins for my entry table and some more gingham ribbon to the lamps. 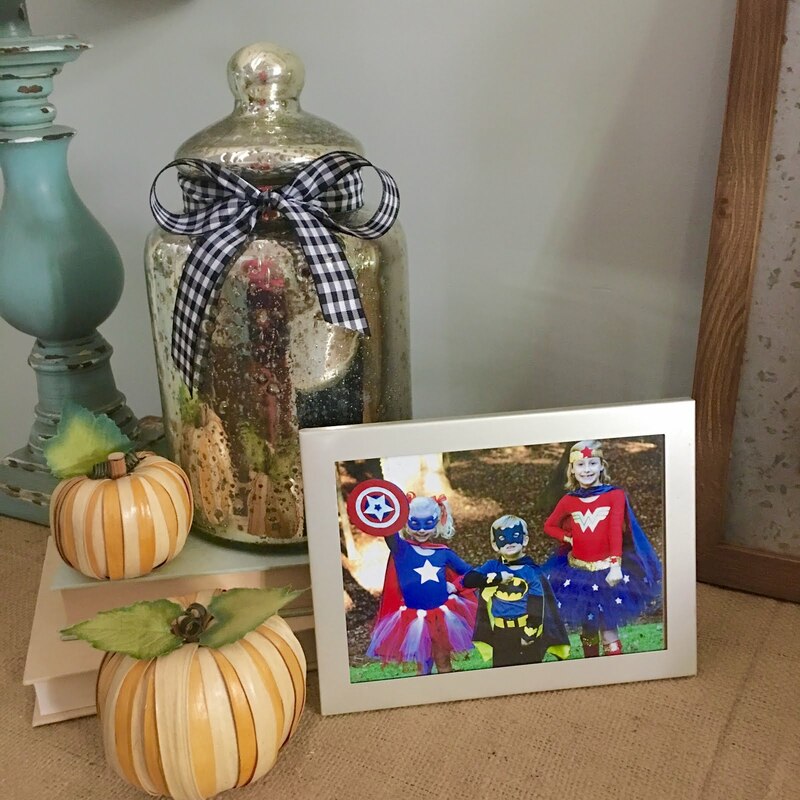 I also have a picture of my favorite themed Halloween costumes the kids wore a few years ago. 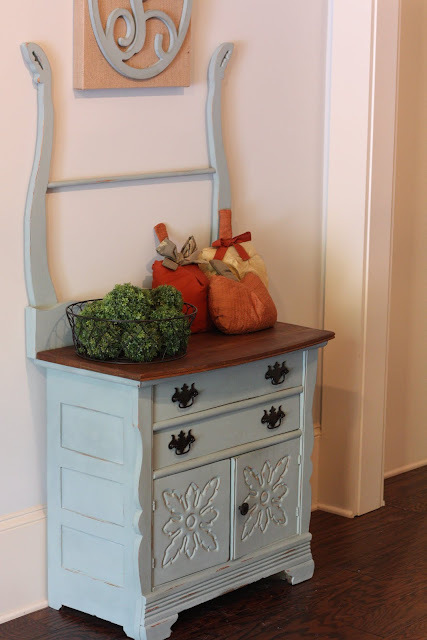 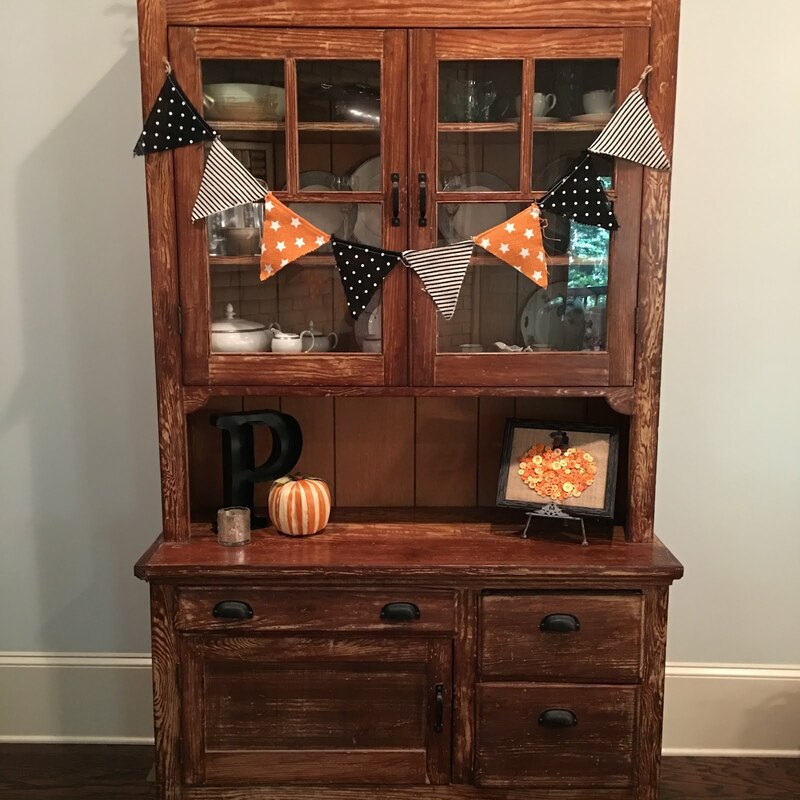 On the other side of the foyer is the antique wash stand I pained with chalk paint several months ago and to that I replaced some candles with some fabric pumpkins I made many years ago. 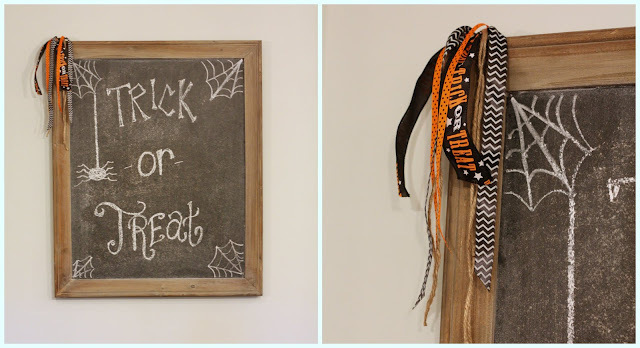 The kitchen holds a few other details like my chalkboard that got a new Halloween design. 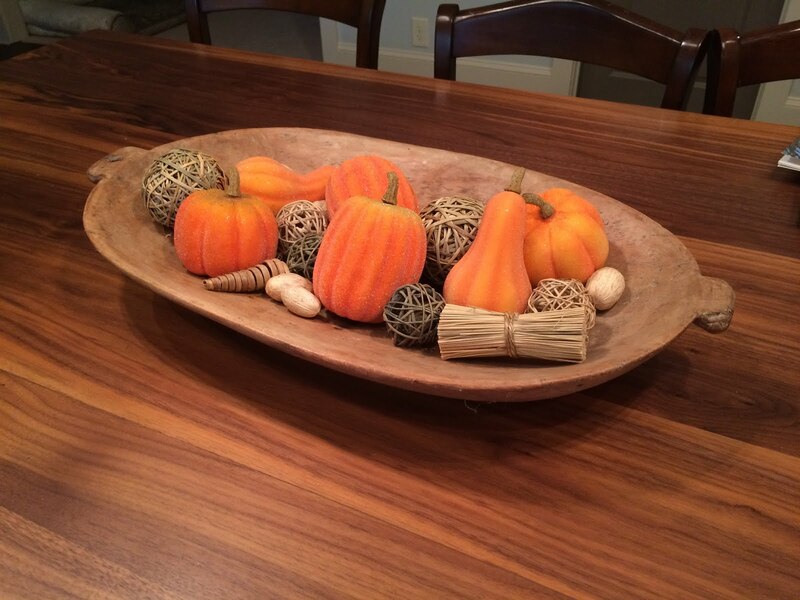 This antique dough bowl belonged to my grandmother and it gets filled with some pumpkins! In the keeping room area I have some adorable burlap banners hanging that I scored at the Target Dollar Spot last year. 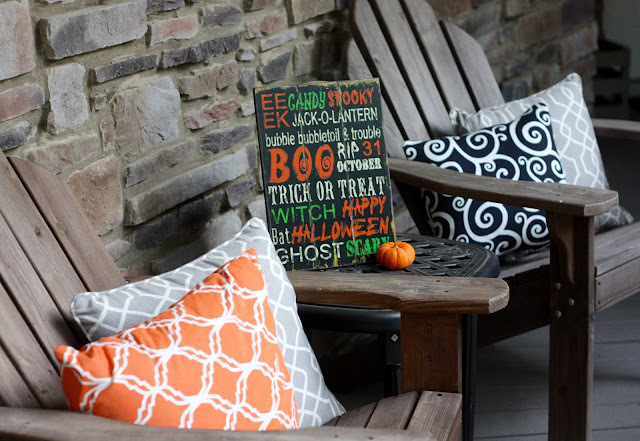 Those cute little trick-or-treat pillows also came from the Dollar Spot at Target. 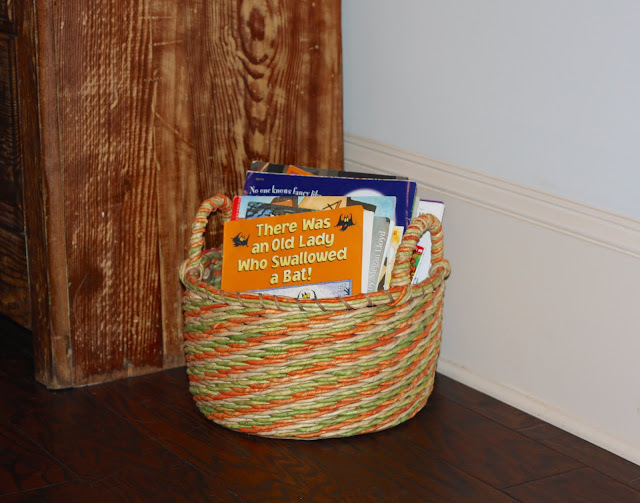 For the kids I keep all of our Halloween books in a basket that makes it easy for grabbing. 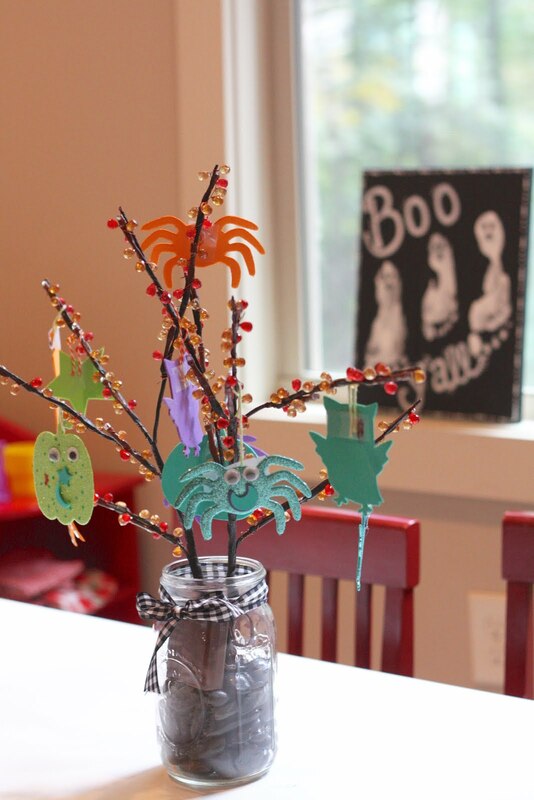 And even the playroom gets a few touches including these light up branches with Halloween ornaments the kids made with my mother-in-law a few years ago and their cute little ghost footprints there in the background.